Any baby who wears a diaper is bound to get a diaper rash at least once. Diaper rashes may be a common problem, but it sure is an irritating one. Your baby is always in discomfort and the red, itchy skin makes him cry as well. 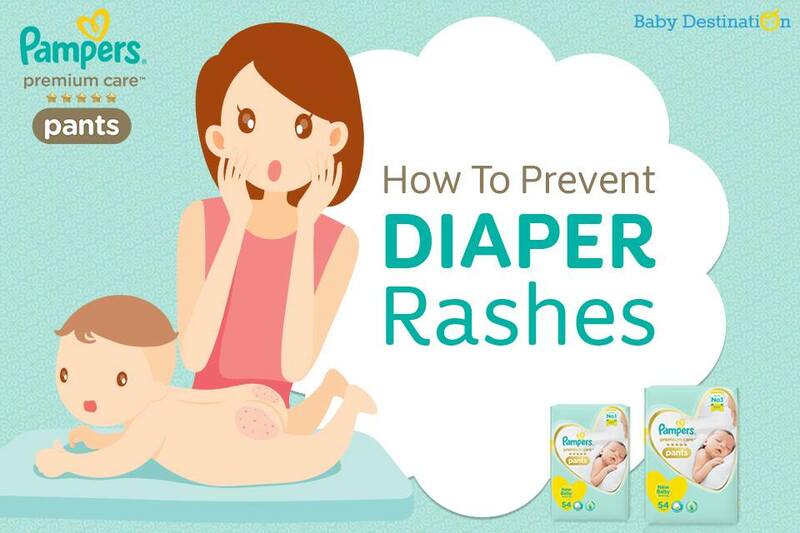 However, you can keep diaper rashes at bay with these simple and effective tips. 1. Soft materialsThe material of the diaper also plays a big role in causing rashes. To prevent rashes, choose diapers like Pampers Premium Care pants that have cotton-like softness. As a baby’s skin is super soft and sensitive, it is prone to many allergies and skin problems. Materials and fabrics also cause redness and itching in the baby’s skin. 2. Change diapers oftenAvoid keeping your baby in soiled diapers for long periods of time. 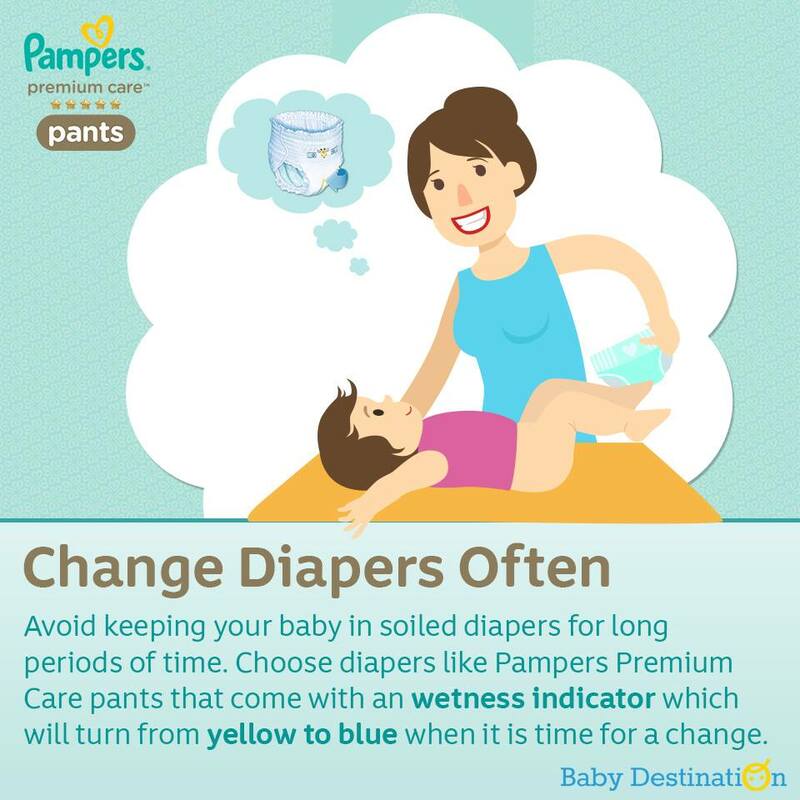 Choose diapers like Pampers Premium Care pants that come with an wetness indicator which will turn from yellow to blue when it is time for a change. 3. Keep the diaper area cleanAfter every diaper change, use warm water and Pampers Fresh Clean baby wipes to clean your baby’s bottom. 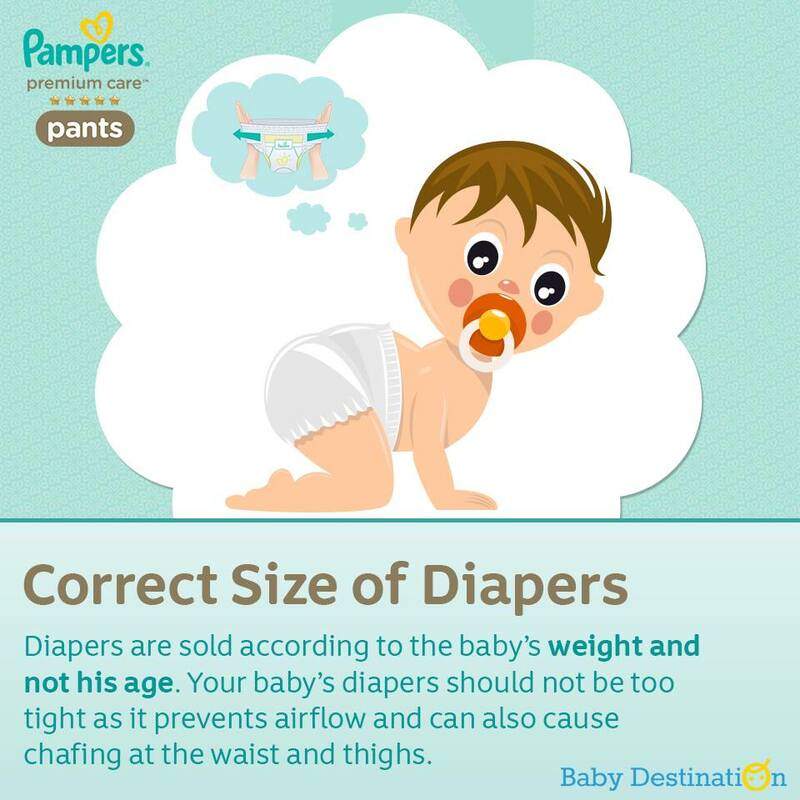 4.Correct size of diapersDiapers are sold according to the baby’s weight and not his age. Your baby’s diapers should not be too tight as it prevents airflow and can also cause chafing at the waist and thighs. 5.BreathabilityEnsure that the diaper absorbs well and comes with air channels that will help your baby’s skin breathe and stay dry. 6.Use a diaper with aloe vera lotionAloe vera has healing properties, is antibacterial and anti-inflammatory also. 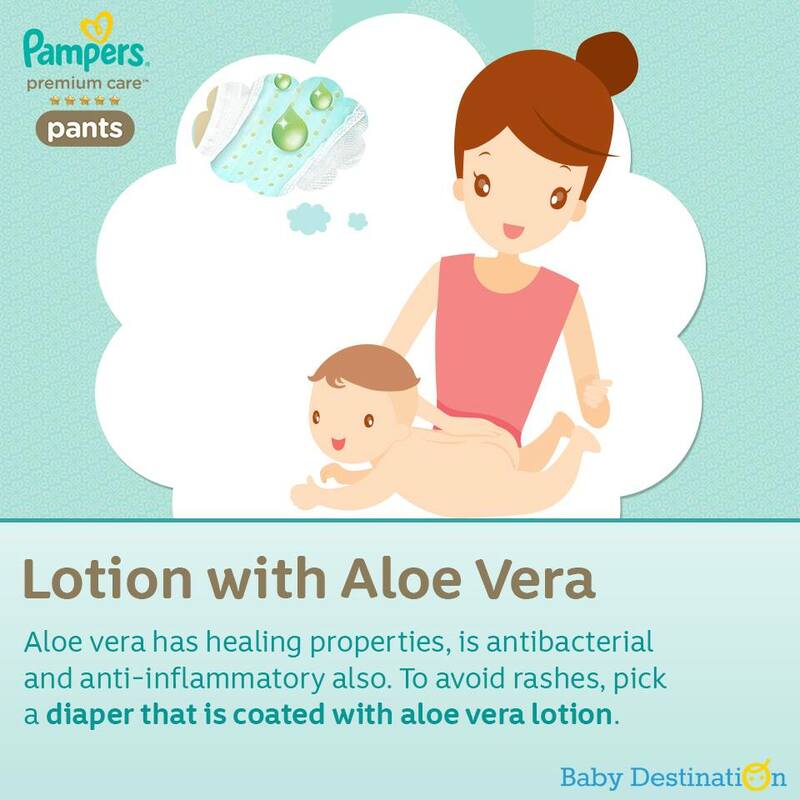 To avoid rashes, pick a diaper that is coated with aloe vera lotion.